It has been a while since I added to this series – the others can be found here – but I felt that, with a gap opening up in the blog schedule, now was as good a time as any to get back to it. Besieged Leningrad, 1942: Lev is a 17 year old militia recruit facing a death sentence for “looting” a dead German paratrooper. Kolya is a slightly older, literature obsessed ladies man, facing a death sentence for supposed desertion. The two young men are given a chance for a reprieve: find a well connected Colonel 12 eggs for his daughter’s wedding cake, and they get to live. But this is the heart of the “900 Days”, and the mission is anything but easy. Between the ruthlessness of their own side, the barbarity of the Germans and the starving desperation of everyone else, Lev and Kolya traverse a landscape torn apart by misery and war. Benioff is a man better known for his work screen-writing for film and the small screen – 28 episodes of Game Of Thrones have come from him, probably his best known work – but he also has published a few novels. City Of Thieves is probably the best, and the whole experience is a hauntingly memorable one. The book is actually a story in a story, with the opening being an account of a conversation Benioff had with his own grandfather, the apparent basis for Lev, now living comfortably in the United States. Whether this interaction is semi-fictional or not is unclear. The older Lev promises, after persistent urging from his grandson, to tell the story of his time in Leningrad, but even here Benioff’s work is proving its worth as a treatise on war. In this case, it’s about the fragility of memory, and the blurring of history: Lev openly encourages the younger man to just “make it up” when inaccuracies or mistakes become evident in his account. It speaks to the essence of the war memoir, which is so frequently riddled with inconsistencies and uncomfortably questionable moments – see the recent furore over American Sniper for a solid example – and our own apparent comfort with this state of affairs. The memories are painful for Lev, and things are muddled: Benioff’s reaction is to forgo the truth as an unbreakable thing, and move into the realm of fiction. The result is a story that might not bear too much relation to the reality of his grandfather’s experiences, but certainly captures the spirit of wartime Leningrad. But the exercise of the opening encourages us to question other military memoirs. From there, it’s straight into the sordid and desperate world of a city under siege in World War Two, and it’s there that City Of Thieves soars into the canon of truly great war stories. Benioff has a talent for description and tone setting, and his City Of Thieves has that in spades. Leningrad is a place where the very structure of the city is falling apart. People eat glue and a few eat each other to survive. Fat cat Soviet officials survive without difficulty while thousands die all around them. And always, ever present, a sword of Damocles of the worst sort, is the German guns and German bombs. Leningrad is anarchy, misery, chaos defined, a place that has gone over the edge. The idea of escape is impossible. City Of Thieves is one of those books that captures the horror, the unrelenting terror, that is war. Lev and Kolya travel throughout their quest and see it everywhere: in the casual treatment of Soviet masters towards their own citizens, in the torture inflicted by German commandos on peasant girls pressed into prostitution, in the searingly vindictive and terrifying way that the Nazi ideology is carried through to its end state. I mentioned in my post on Anthony Beevor’s Berlin: The Downfall – 1945 that part of what made the book seem like a recapping of a titanic struggle was the sheer enormity of the final bitter clash between communism and fascism. Here, that sense of enormity is replicated, with the fictional focus allowing for a more personal side of things to emerge. Two murderous political theories are engaged in a brutal battle for survival here, where another thousand or so dead is just a slightly increased statistic, but in many ways the more effective feeling of dread is created by things like a sexual encounter between Kolya and a friend, where the woman’s emaciated state forms a key part of Lev’s remembrance of the moment, or the duo’s discovery of a field of dead dogs strapped to anti-tank mines. (Spoilers ahead in this paragraph). It is this sort of random morbidity and pain that really makes City Of Thieves what it is, though its conclusion does it better than other moments. Poor Kolya gets shot by his own side after the two actually manage to carry out their task, killing an important enemy officer in the process, an act for which the two should be heralded as heroes. But this is Soviet Russia, where the human steamroller is just picking up speed: people like Kolya are easily turned into grist for the mill. But from there Benioff delivers the final cruel blow, in a moment that should resonate as much as anything from Catch 22, as Lev discovers that their mission was just a pointless errand anyway, as the Soviet Colonel already has more than enough eggs for the wedding cake of his sheltered child. It’s the perfect ending to provide that emotional gut punch, and to sum up the entire situation in wartime Leningrad. It’s also just a good book, superbly written and paced, with its two main characters wonderfully fleshed out and allowed to play off the others with aplomb. Lev is enormously sympathetic as a sort of suffering straight man to Kolya’s more bombastic Lothario, with the mindset of a horny, frustrated teenage boy that a lot of us will be able to relate to. The back and forth between the two, on so many topics, is great to read, and part of the emotional power of the story comes from how the reader so easily becomes attached to the final fates of Lev and Kolya. Since everything is written from Lev’s perspective, we share his initial dislike but then growing affinity with Kolya, which makes their horrendous experiences later on in the novel all the more gripping. 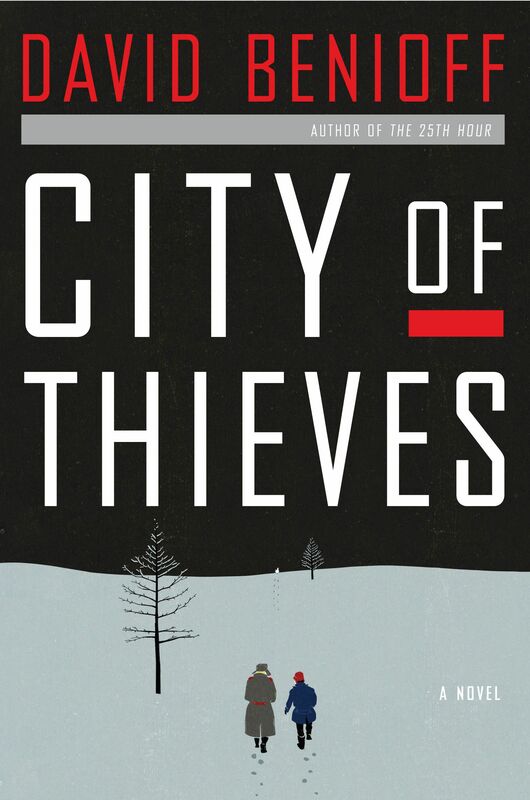 In so far as Lev, City Of Thieves also works as a classic coming of age tale, in the style of Catcher In The Rye. But what did City Of Thieves teach me about war? It taught me about the inherent and undeniable cruelty of large scale conflict. “Total war” is just a phrase to be read and analysed: the reality of it is among the grimmest kind of scenario for someone to face. Normal rules and social conventions regarding morality, humanity and justice go out in the window in the overriding quest for survival. Everything becomes infected with and subsumed by war, and the struggle against enemies external and internal. Heroics are not in black and white. Goodness and decency can still exist, but are dwarfed by the forces of darkness surrounding them. And every decision has a cost, whether it is trying to save a comrade or chancing enemy bullets. This is war for most people, far away from the “big picture” of battle plans and thumbnails in maps. And that feeling is magnified by the two young men at its heart, and by the realisation in many readers, including myself, that it could just as easily be me. This book taught me about how people react to war as much as they influence it, and about how even I might react to being placed in such a horrible time and place. And it taught me, in a way that more academic discussion of the Siege of Leningrad cannot do, about the ugliness of war. This entry was posted in Books, History, NFB Reading List, Reviews, War and tagged benioff, city of thieves, history, leningrad, reading list, reviews, war. Bookmark the permalink.